3. Sending humanitarian aid, even to hostile countries. Israel, you were the first country to offer humanitarian assistance to Turkey after a large earthquake claimed the lives of more than 400 people there. Even though Turkey initially rejected the offer, you responded immediately when Turkey finally decided to accept. Over the years, your people have also offered or sent humanitarian aid to several other Arab or Muslim countries, including Pakistan, Indonesia and Iraq, and most recently, your foreign minister, Avigdor Lieberman, offered to send aid to war-torn Syria. 4. Providing a safe haven for refugees. Israel has taken in thousands of Muslim refugees from Sudan, Eritrea, Ivory Coast, other African countries, and even some from Bosnia during the ethnic war there. While Egyptian security forces have beaten or killed African refugees seeking asylum, Israel has provided them with safety and even granted many of them citizenship. 5. Providing medical treatment to children – and families of terrorists. In addition to your extensive humanitarian work, when our children in the Palestinian Authority, Iraq, Jordan, Indonesia, Kazakhstan, and other Arab and Muslim countries needed advanced cardiac treatment, you, Israel, provided it, free of charge, thus saving hundreds of children’s lives. Not only that, but just a few months ago your kindness reached new heights when you provided medical treatment in Tel Aviv for the wife of one of the most notorious Palestinian terrorists – Abu Daoud, the mastermind behind the massacre at the Munich Olympic games in 1972. 6. Arabs live longer in Israel. We have to admit, Israeli Arabs enjoy one of the highest life expectancies in the Middle East – they even live longer than Americans – and also reproduce more than Arabs in several of Israel’s neighboring countries, including Jordan, Syria, Egypt, and Lebanon. 7. Boosting trade and strengthening economies. Israel, your (official and unofficial) commercial trade relations with many Muslim and Arab countries, some of whom refuse to have diplomatic relations with you, have enabled them to increase their exports and have given them tariff-free access to U.S. markets. Just to give some examples, your Qualified Industrial Zones (QIZ) agreement with Egypt gave the country’s textile industry a new lease on life and brought Egypt a staggering $1.3 billion in revenues in 2011. In Jordan, textile exports to the U.S. increased from $15 million in 1997 to $1 billion in 2004, and Jordanian officials estimate that more than 40,000 jobs were created thanks to QIZ factories. Your trade transactions with Indonesia – which does not formally recognize you – have seen millions of dollars enter the Southeast Asian country. An Israel-Indonesia Chamber of Commerce was even set up in Israel to promote and facilitate business ties between the two countries. 8. Water. The Middle East and North Africa region is the most water-scarce region in the world. In the face of this challenge, Israel has agreed to sell water to Jordan to help cover its shortage, and, with the construction of a new desalination plant in Ashdod, it hopes to be able to sell more water to its neighbors in 2013. 9. High-tech and medical equipment. Many Arab Gulf states, and Muslim states such as Malaysia and Indonesia, use your technology, especially for internal security purposes. 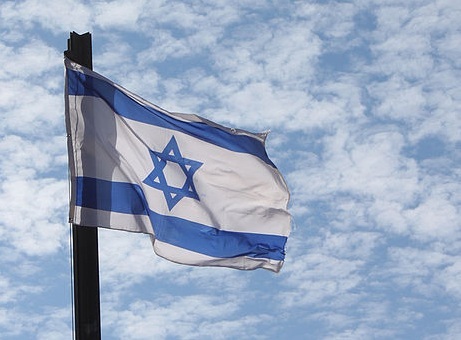 Last year, a bank in Malaysia used an Israeli remote banking fraud solution that stopped 51 confirmed cases of fraud within the first month of its installation. Several Israeli firms also export medical supplies to Arab countries, among them Jordan, Egypt, Morocco, Saudi Arabia, and the Gulf states. As you can see, Israel, you have had a positive impact on the Muslim and Arab worlds, even though we may not always recognize or admit this. So instead of blaming you for all the ills of the Middle East and repeatedly questioning your right to exist, today we’d like to give credit where credit is due. Here’s to you Israel, on your 64th birthday.